Ooh, is it getting warmer in here?! 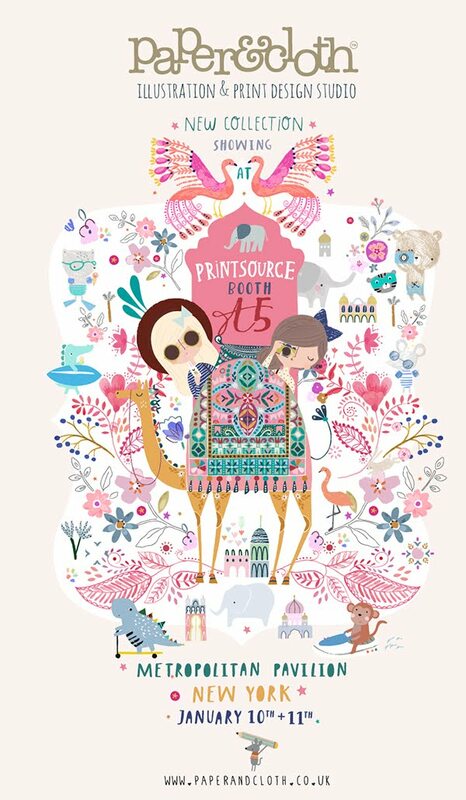 We're set for winter storms in the UK, but we're ready to transport you to more tropical climes and a world of sunny Paper & Cloth yumminess at this January's Printsource in New York! Our snazzy camel is all packed up and ready to go, we've got our biggest sun hats on and we're bringing the sunshine with us to booth A5, in the form of oodles of tasty new spring/summer additions to our portfolio. 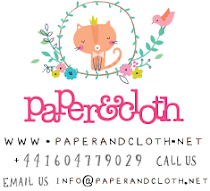 We have plenty of designs to make you smile across baby, kidswear, interiors, stationery, fabric and much more, all inspired by our freshest trends. Come and say hi and we'll give you the guided tour...don't forget to bring your shades! The big day is almost here again, so we're getting in the mood with this cheerful christmas palette. 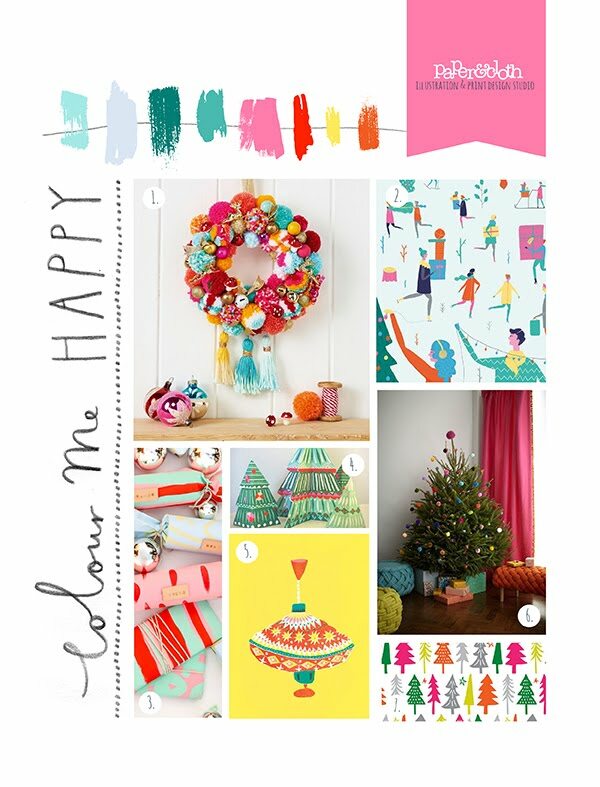 We're loving this bright contemporary take on traditional xmas cheer - pom pom makers at the ready! 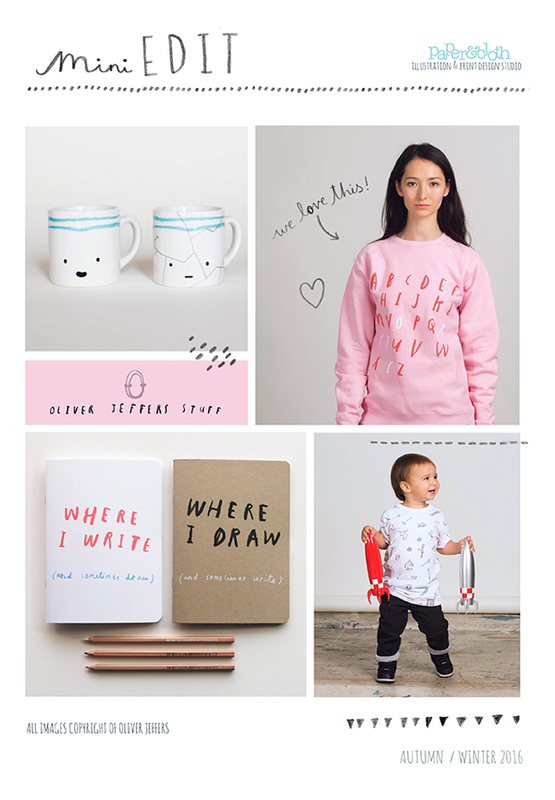 If anyone wants to know what we’d like for Christmas here in the P&C studio, look no further than Oliver Jeffers new online shop, aptly titled “Oliver Jeffers Stuff”. One of our favourite illustrators, Oliver’s beautifully rendered illustrations and signature hand-lettering have been bought to life on a range of collectables and apparel. One of everything please!